MeruMaya Melting Cleansing Balm : Before meeting Maleka i had read a lot of praise about this cleansing balm and when i had tried it . I have honestly become a huge fan of this product and would definetely like to say that i have found one of the best cleansing balm . It is very much effective & gentle on the skin and leaves skin hydrated, calm, glowing and refreshed. It is also very easy to use this balm .You just have to massage it on your skin and it melts right onto your skin, quickly emulsifies makeup and grime. You can add some water and it turns into a milky texture which is very quick and easy to remove . Maleka recommends to use a cleansing cloth for the best results . It is one of their bestseller product and also a winner of Irish Tatler Award 2013 for Best Cleanser . Available at www.merumaya.com and John Lewis Store. This foaming facial wash are very effective for spots and blemishes without being harsh on the skin unlike other acne control face wash . It’s Pommegranate Enzymes gently slough away dead skin that might cause blockages and spots while brightening the skin for greater radiance and treating the spots and the symptoms such as redness and inflammation. Mangosteen is a superior anti-oxidant that helps to protect the skin at a cellular level. Extremely gentle surfactants mean that the foaming is rich, gentle and does not strip the skin, so it is even great for drier and more mature skin types. Another ingredient Happy Skin™ helps to promote the release of endorphins assisting in bounceback and reducing the glumness often experineced by sufferers. Merumaya Iconic Youth Serum : I have been using the Iconic Youth Serum from the time i have met Maleka and i am just in love wth it , Initialy when Maleka had introduced me to this Iconic youth serum , i was hesitant as for me serum would be greasy or too rich but honestly this serum is just a magic and not greasy atall . It improves fine lines & wrinkles , provides hydration and plumpness while reducing dark spots and blemishes . It has hyaluronic acid which has its anti ageing properties and prevents spots and blemishes. It also has Echium Oil, a plant source of Omega 3,6,9 which provides the best anti inflammatory action to soothe sensitive skin, problem skin and helps prevent skin ageing. My skin has been glowing from the time i am using it and it is very easily absorbed by the skin thus it doesn’t look greasy atall. 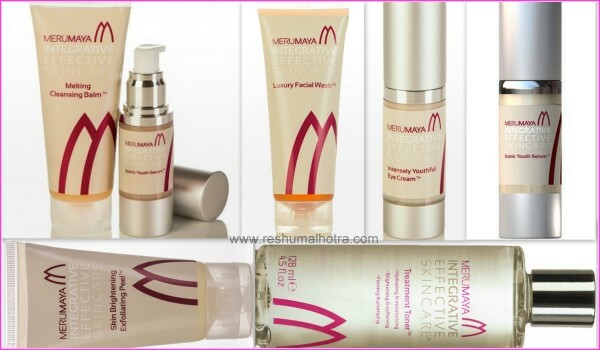 Merumaya skin Brightening Exfoliating peel : A must go item for all skin type including sensitive skin also . It hydrates and helps in removing the dead skin and reducing the dryness . So incase you have dry skin, using this peel you would notice that your skin is well moisturised which would absorb the cream and treatment well. Oily skins would appear less sallow and pores are more refined without stripping the skin. If you have problematic skin, using this exfoliating peel , your skin are less likely to experience congestion and blockages caused by dead skin cells and this helps to prevent spots. Intensely youthful Eye cream : One of the most effective eye cream which provides imediates effect on tightening and firming the skin. It reduces the fine lines and provides elasticity with Echium Oil, which is a plant source of Omega 3,6,9 and Argirilene, which is often referred to as the ‘botox’ of ingredients . It has ingredients such as Rhodiola Rosea, Yeast Extract and Ginseng which reduces puffiness and dark circles and also provides intense hydration with Hyaluronic acid . It is very light in texture and it causes no smudges of makeup and mascara. 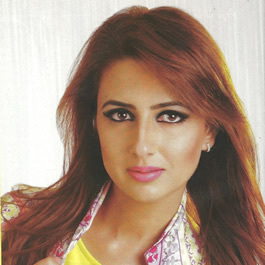 My question to a beauty blogger like you is ? there are myriad of products and brands claiming the performance in terms of anti ageing ,skin care and wrinkle protection.. how do you go about shortlisting the brands and products for example vitamin E almond oil is elementary ingredients for a skin vitality and almost all brands claim tall..so how do you arrive at a particular brand?